Blum produces award-winning, furniture fittings to enhance end user convenience. Their hardware range is complemented with support services and through these, Blum seeks to position itself at a trusted partner. 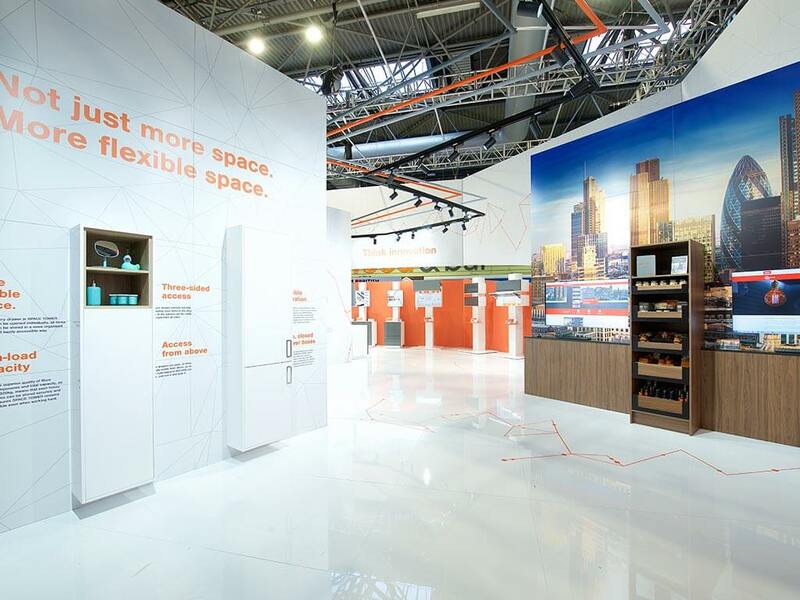 An international brand, Blum were certain of footfall yet still wanted stand-out design and increased visitor numbers to whom they could convey insights into the benefits of Blum partnerships. Blum’s UK managed the KBB project. This would normally be undertaken by the Austrian events team and consequently there was a pressure to produce outstanding work. 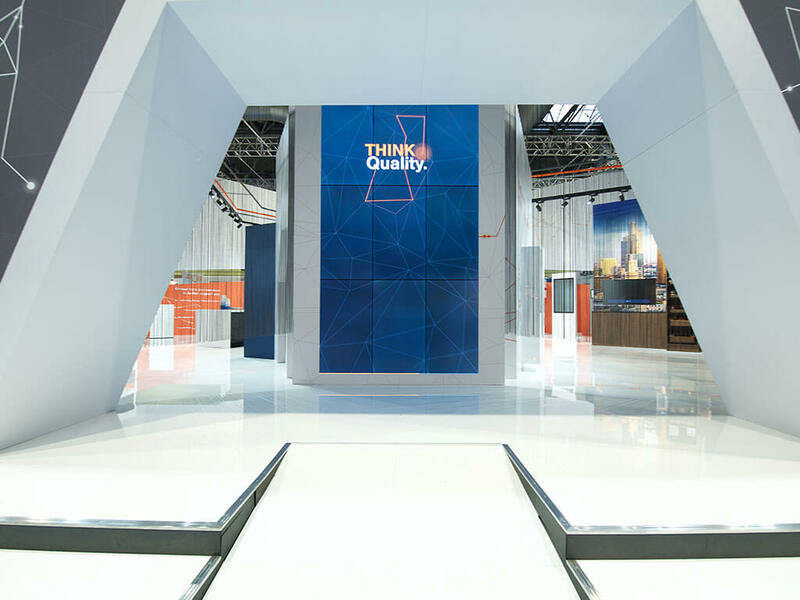 Quite simply, KBB 2018 was to be the ‘biggest and best’ with displays of Blum’s Space Towers alongside in-depth details on their services for retail and technical support. 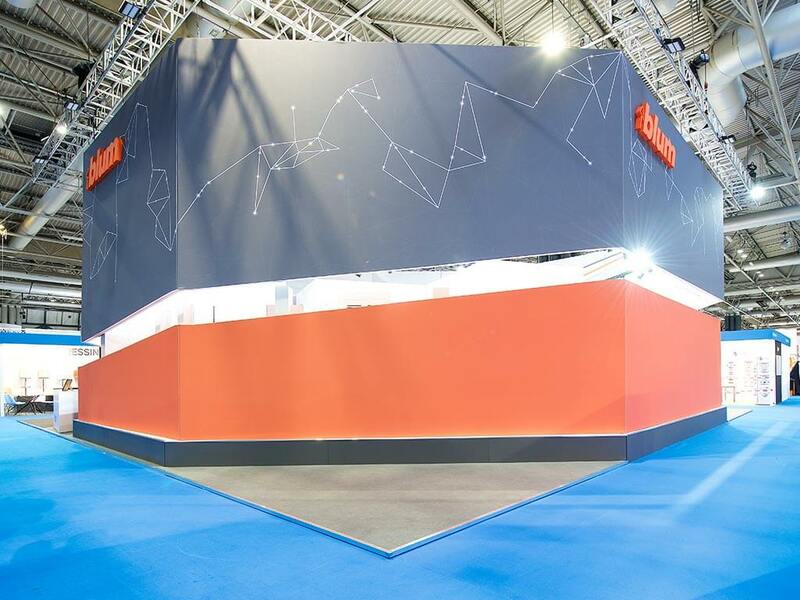 Blum’s pitch – a huge 126sqm (18×17) stand required a high specification showpiece but without the huge investment of traditional full custom stand build. Maximising Blum’s £200k budget was key to achieve event ROI. Our solution was to produce a mock interior of a kitchen using a rear wall graphic aligned with physical cupboard units and Blum’s drawer products. The focal point of the stand was a bespoke ‘phy-gital’ game. The game was played in pairs, with one person using the Blum drawers and the other the traditional cupboards. Both were challenged to find everyday kitchen items, pitting themselves against each other and the clock. An overhead screen displaying the countdown clock and leaderboard created a competitive element and added to the spectacle for passers by. 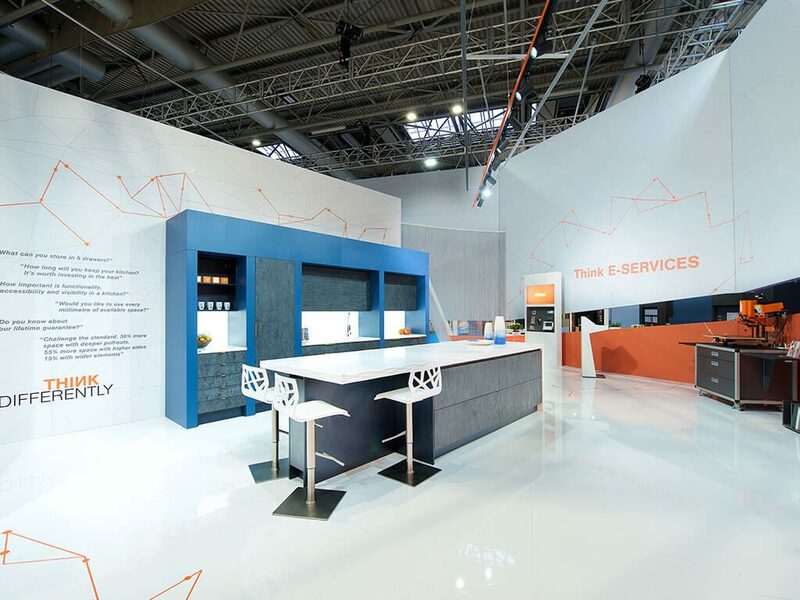 The Blum KBB project was a consolidation of Nimlok’s exemplary stand design, project management and delivery capabilities; showcasing the 5-metre prowess our printing facilities and utilising optimum bespoke hire assets to control costs. Despite the closed design, Blum estimated 4500 stand visitors (3700 had been the previous record from KBB 2016). This was a resounding success. 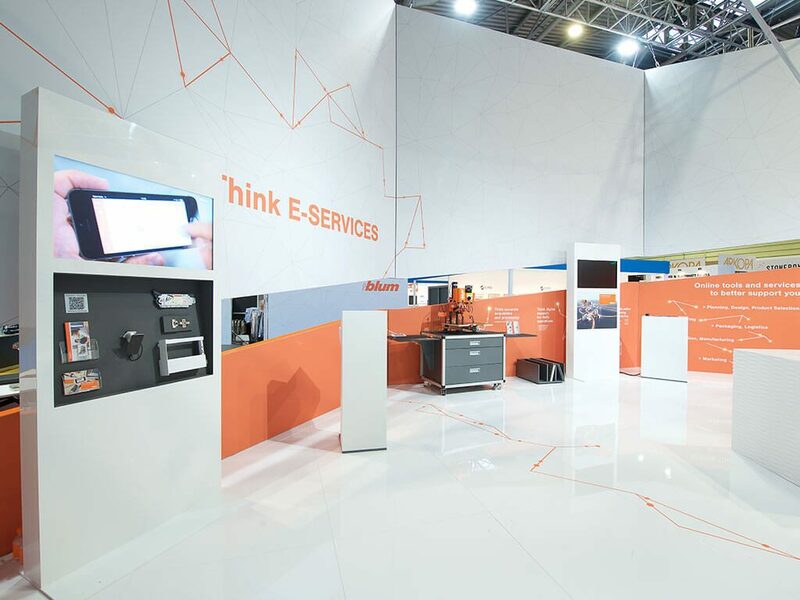 Controlling foot flow allowed Blum representatives to engage with as many potential clients as possible and each area looked spacious despite the large number of display products and high volume of visitor traffic. The stand dominated KBB and made front page of the show bulletin on day 1 and positive media reviews created a buzz outside the venue. 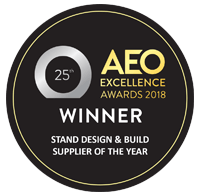 The stand deservedly won ‘best at show’ rewarding Nimlok’s efforts and our clients’ boldness for following our ambitious design that has set a benchmark for future shows.